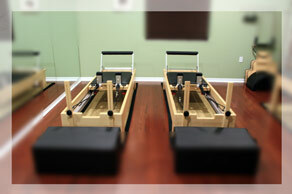 Pilates is a method of exercise based on the teachings of German born Joseph H. Pilates. His system of exercises is based on seven simple principles: Centering, Control, Breathing, Precision, Flowing Movement, Concentration & Proper Alignment. Pilates is equally suited for those with ailments or injuries and for those training for that next marathon or triathlon. You will be amazed at the change in athletic performance and everyday activities with the addition of Pilates to your training program. Pilates is very gentle on the joints while creating challenging work for the muscles. *Please call 813-929-3929 to reserve your space. *Mat Classes limited to 5 people per class. *Walk-ins are welcome, but classes may be full. *Schedule subject to change or cancellations. Call for up to the minute schedules & information. *Private & Semi-private training available by appointment only. Call or stop in for more information.